The long-serving boss has agreed to step aside after eight years in charge. 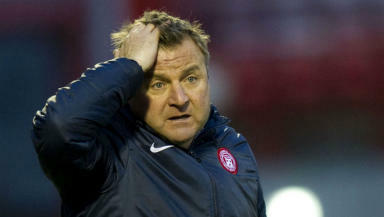 Billy Reid has left Hamilton Academical after almost eight years in charge. Reid leaves New Douglas Park by mutual consent and with immediate effect. It is understood both parties felt the time had come for a change in manager. Club captain Alex Neil takes interim charge, assisted by academy director Frankie McAvoy. Hamilton chairman Les Gray said: "The decision to separate was an amicable one. "Billy felt he needed a fresh challenge, and the club was like-minded. It was simply and naturally felt that it was the right thing to do at the right time. "Billy has already indicated that he will be at Dunfermline to support the team on Saturday and will be at the home game versus Airdrie Utd next Tuesday as well." 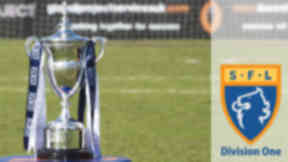 The news was given to Accies players at a meeting on Wednesday morning. Reid, 49, was appointed at Hamilton in 2005 after a spell in charge of Clyde. In 2008 he led Accies to the First Division title with a squad that included future English Premier League and international midfielder James McArthur and James McCarthy. In the SPL Hamilton impressed to a seventh place finish with Reid at the helm in 2008/09. However the Lanarkshire outfit were relegated in 2011 and have remained in Division One since.